The modern thing, or probably the new thing, always has happened for being something good. One wanted or was chasing to be modern, or it to seem, until it fell down in the account of which the modern thing was yesterday and which the sigh of the present was inasible, and the aspiration of modernity, also. The history and the age thankfully, they help to deal, and say to one that actually what wants to be is not modern but contemporary, a type of the epoch in which it lives, and finally he understands the concept of zeitgeist and tries to live in agreement to the world the one that he has had to live, a contemporary and clear, modern world, though a thing and other one they are not equivalent. In architecture, nobody would define like modern (except in the most vulgar magazines) nor would like that his architecture was modern, since the whole world knows what is the modern architecture associated with a certain historical period that already we have left behind. So behind that up to Philip Johnson almost sixty years ago already it indicated which were the sietes crutches, or canes, of the modern architecture, which still existed as such. They were, according to Johnson, seven: the history, the nice drawings (that are not an architecture only for being nice), the usefulness, the comfort, the cheap thing, the service to the client and the structure; (history, pretty drawings, utility (usefulness), comfort, cheapness, serving the client, structure). Regardless, it cannot be said that it was very guessed right and a not very deep analysis might dismantle many of these ideas, beginning probably for that of a modern architecture and simultaneously allegedly barter, for not speaking about an architecture that was providing comfort and service to the client, ideas that are not by no means present in any of the buildings most known about the modern architecture, which were rather everything opposite: expensive, slightly comfortable and nothing to the service of the user or client. En arquitectura, nadie se autodefiniría como moderno (excepto en las revistas más vulgares) ni querría que su arquitectura fuera moderna, ya que todo el mundo sabe lo que es la arquitectura moderna, asociada a un determinado periodo histórico que ya hemos dejado atrás. Tan atrás que hasta Philip Johnson hace casi sesenta años ya señaló cuáles eran las sietes muletas, o muletillas, de la arquitectura moderna, que aún existía como tal. Eran, según Johnson, siete: la historia, los dibujos bonitos (que no son arquitectura sólo por ser bonitos), la utilidad, el confort, lo barato, el servicio al cliente y la estructura; (history, pretty drawings, utility (usefulness), confort, cheapness, serving the client, structure). 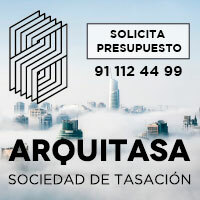 A pesar de todo, no puede decirse que estuviera muy acertado y un análisis no muy profundo podría desmontar muchas de esas ideas, empezando quizá por la de una arquitectura moderna y a la vez pretendidamente barata, por no hablar de una arquitectura que proporcionara confort y servicio al cliente, ideas que no están en absoluto presentes en algunas de los edificios más conocidos de la arquitectura moderna, que eran más bien todo lo contrario: caros, poco confortables y nada al servicio del usuario o cliente. 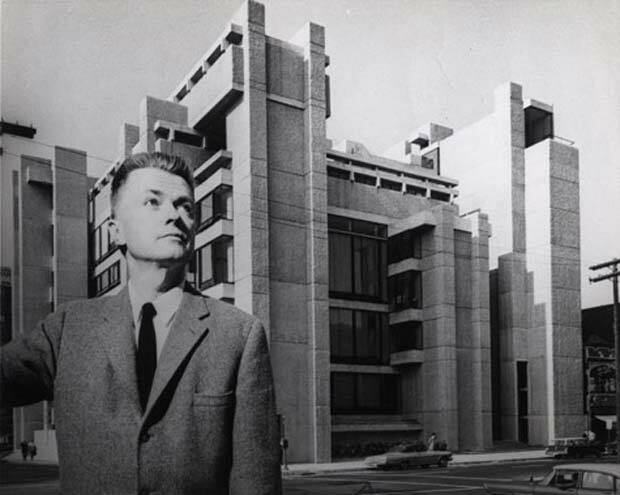 Two years later, Paul Rudolph was convenient that they were six the determinants of the modern architecture, though it was not referring to the architecture in general but to the architectural form especially, that is to say, it was making one brave and probably daring equivalence between architecture and form. In any case, six determinants of the architectural form were, for Rudolph: the environment of the building, his relation with other buildings and the place; the functional aspect; the region, the climate, the landscape and the conditions of natural light which one faces; the materials; the special psychological requirements of the space; and the relation with the spirit of the times. Summarizing: environment, function, climate and landscape, materials, psychological requirements of the space and zeitgeist. Having been Rudolph a very convinced formalist, it surprises find so many determining day pupils who small were seeming to be had in account in buildings more worried about the volumetry or the expression of a sincere materiality that of the environment, the climate or the landscape. In both lists, you upset coincidental in spite of the temporary nearness, it is surprised not only it, the disparity of determining that both appear, but also the absence of some reference to one of the concepts in which there was inspired originally the Modern Movement and his architecture, which is not other one that that of Gesamtkunstwerk (work of total art). That is to say, it is not strange not to find it in these lists of Rudolph and Johnson, if with them, in certain way, also they themselves and his architecture are explained. Nevertheless, yes that looks like a loss throughout the time, of the modern architecture and his aspirations, beyond the technical rhetoric of the house as machine of living and his derivatives, that in certain way they might assimilate this aspiration of integration of all the arts; or of all the technologies. 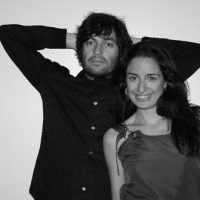 Text by bRijUNi arquitectos: Beatriz Villanueva Cajide -Architect and Master in Architectural Advanced Projects (ETSA Madrid)- and Francisco Javier Casas Cobo -Architect and Master theoretically, Analysis and History of the Architecture (ETSA Madrid). Beatriz Villanueva es Arquitecta, Master en Gestión de Espacios Virtuales, Master en Proyectos Arquitectónicos Avanzados y PhD (ABD) con su tesis “Arquitectura y Compromiso. Actualización y revisión crítica de los manifiestos de arquitectura”, dentro del grupo ARKRIT de teoría y crítica (ETSAM). Francisco J. Casas es Arquitecto, Master en Análisis, Teoría e Historia de la Arquitectura y PhD (ABD) con su tesis “Fundamentos Historiográficos, Teóricos y Críticos de los años 50” dentro del Departamento de Composición Arquitectónica (ETSAM).